Dr. Zivari provides basic and advanced general dentistry care designed to maintain and restore oral health, with services including dental hygiene, preventative dental care, restorative dental care, periodontal care and oral surgery. Dental implants are small titanium post anchored into the jawbone. Implants can replace a single missing tooth, and they can also anchor bridges, partials, or full dentures. 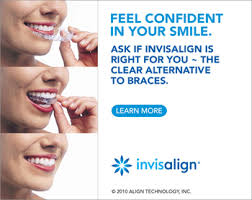 Modern cosmetic dentistry combines advanced technologies and materials that provide smile enhancements, which are virtually indistinguishable from natural teeth. Welcome! Forest Hills dentist, Dr. Debora Zivari has been practicing personalized dental care and design since 1990. Her dedication to building an honest and sophisticated practice has cultivated her deep-rooted connections and experiences. The inviting atmosphere of our dental office and Dr. Zivari's visionary outlook consistently attract clients from all five New York boroughs, Florida, and New Jersey.